Since its commencement to serve in different UN Mission, Bangladesh Police has now been the 6th Police Contributing Country (PCC) in the world with remarkable commitments of 643 personnel to date(31.01.2019) of its own to the UN Mandate. It all began in 1989 when it left behind its glorious chapter by participating in the United Nations Transition Assistance Group (UNTAG) in an African state named Namibia – ever since, success stories have flourished the fame with adventurous total number of 19,014 personnel in 22 UN Missions to date. Firm with belief in ensuring peace with utmost proficiency, Bangladesh Police sent specially equipped self-sufficient police units called Formed Police Units (FPUs) to Ivory Coast in 2005.To date Bangladeshi FPUs and UNPOLs with as usual name and fame are working in 5 different missions which are MONUSCO (DR CONGO), UNAMID (Darfur, Sudan), UNMISS (South Sudan), MINUSTAH (Haiti),MINUSMA (Mali), Currently we have 44 Individual Police Officers(IPO) working in 03 different Missions UN Peacekeeping missions, 03 Police Officers working in P-Level/UN jobs and 599 FPU memebers working in 4 Formed Police Units, in total 646 Police Officers are working in 05 UN Peacekeeping missions and UN HQ. 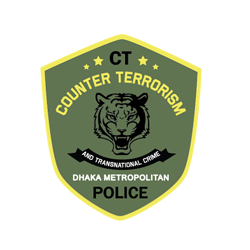 Bangladesh Police has already demonstrated the expertise in different field of policing like Forensic, Foot Print, Finger Print, Ballistic, Democratic Policing, Community Policing and so on so forth. Bangladesh Police has not only proved its capacities in the field missions as observer but also has enhanced its capabilities in peace keeping department in the United Nations’ Headquarters. 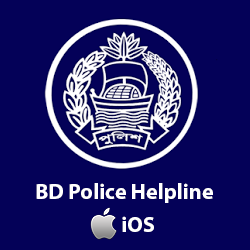 Bangladesh Police has been performing duties with utmost sincerity, professionalism and dedication. They assist in facilitating in the process of disarmament and reintegration, maintaining law and order, protecting displaced and distressed persons, facilitating humanitarian assistance and protecting human rights. Responding to the challenges in implementing the UN Mandate in the field of gender issues, women and children affairs, Bangladesh Police has sent 1 (one) Women FPUs in DR Congo (MONUSCO). Bangladesh, being of the top contributor of female police officers to the United Nations Peacekeeping Operations, has become the crucial partner in the transition from war to peace. Bangladesh female peacekeeper has placed them as key driving force to reduce gender-based violence, conflict and confrontation, providing sense of security especially for women and children, mentoring female police officer in the local area and thus empowering women in the host country and promoting social cohesion. Bangladesh female police officer with its name and fame has established themselves as the role model in the community in the Mission area. Consequently, the demand for Bangladesh Female Police Officer is increasing day by day in the UN peace keeping operations. Deaths are forever unbearable to follow ... as always grief makes us silence. Our 20 brave-hearts, who sacrificed their supreme in contentions, didn’t actually go down fighting for their lives in missions, but for the lives of mass in number. That is the aim that eventually proves firm commitment of Bangladesh Police in ensuring peace and security around the world. Over the past decades, the restoration of Rule of Law in post conflict mission area is getting high importance as the international community has recognized the fact of strengthening internal security and criminal justice structure as the most important pre requisite to stabilize the conflict within states. As such the role of UN Police has been expanded from monitoring and advising function to reforming, restructuring and institutional building of local police services. Expertise of Bangladesh Police in the field of responsive policing, accountable policing, community policing, electoral assistance has proven its importance in the UN Peace Keeping Operations resulting in wide scopes to work in international arena. At the time of transition from shorter term peace keeping efforts to longer term peace building process, Bangladesh Police has huge opportunity to work. If we go to the details of range of measures at time of peace building efforts to reduce the risk of relapsing into conflict by strengthening national capacity at all levels for conflict management, first and foremost it is emphasizing on basic safety security and the rule of law which includes protection of property and lives, enforcement of law and order, capacity building of local police, reform of the security and training of local police forces and ensuring the respect for human rights for achieving sustainable peace. Bangladesh Police peace keepers as “early peace builders” have all the qualities to implement peace building tasks by providing security umbrella, training for the local Police to build up their capacity in collaboration with other partners. Based on the needs of future post-conflict situations, UN Police mandate continues to change and Bangladesh Police needs to cope with undergone major changes in UN and thus need to enhance the competency and skills emphasizing on the potential problems of different regions in order to meet the demand of United Nations. Needless to mention, to cope with the culture of any mission area Bangladesh Police has emphasized to overcome the limitations of skills on UN official languages. United Nations troops and financial constraints might be exposed as major challenges in order to ensure rapid deployment, readiness and standing capacity. 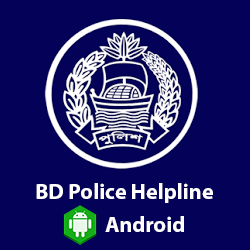 As such Bangladesh Police has given emphasis on the capabilities of rapid deployment and rapid responses to emerging crisis. 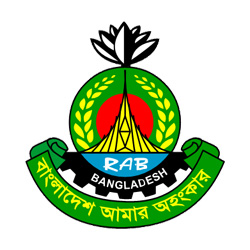 Because of the different scenario in different mission area, Bangladesh Police is in a process of enhancing its skill on clear idea and conception on Rules of Engagement (RoE) in a view to act with impartiality in the faces of large scale massacre or untoward incident in the mission area. It is identified that to respond to the challenges posed by the contemporary conflicts, Police must be mobile, trained, flexible, productive and sustainable.